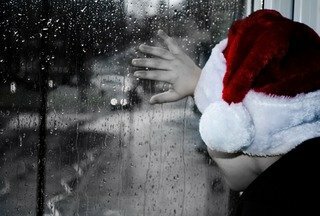 There are currently over 750 Foster Care leavers in Hampshire, young people aged 18+ who have been taken away from their families due to neglect or abuse now preparing to leave their Foster Families and facing the prospect of Christmas without a Family or sometimes even a home. Sophie Hannington a foster care leaver from CAS says: “The transition from Foster child to Care Leaver is still failing a lot of young people due to lack of support and break down in homes and this time of year can be especially hard for a young person who feels unloved and forgotten by the people who are supposed to care. If it wasn’t for the support of strangers around me I wouldn’t be here today which is why I am now determined to ensure others get the support and recognition they so desperately deserve. A gift is not a lot to some but to a young person facing the prospect of Christmas alone a gift and a thought from a stranger in their community could be the small gesture that makes a big difference. I was able to collect and distribute over 2000 gifts for these individuals last year and it felt incredibly rewarding and made a massive impact on them at this time of year. We understand there are constant crisis calls from charities all around the world but this is a real life need, in our community, for young people that don’t feel cared for and are still trying to find their place in the world. Your support in any way, small or large WILL make a difference. Zac Cogan the Managing Director of CAS say: “CAS has always supported local charities but have chosen to make this appeal our dedicated charity to try and make a difference where we can this Christmas and moving forward With Sophie’s chosen cause. She is already making a big impact having been a Care Leaver Ambassador and recently named as a Director of our local branch YMCA Charity in recognition of her hard work in this area – we are very proud and supportive of her and would like to try and help her reach her goal of providing a present or bundle of presents to each of the Foster Care Leavers in Hampshire. Your donation large or small will make a difference. As an added bit of fun, anybody donating over £100 will be a ‘Corporate Sponsor’ and if you are happy, we will put your Company details as a Supporter on our Charity page on our website that we will be running during this campaign. Further, if you also choose to make this your chosen appeal or embark on any Company events in support of this, we will also recognise this here. Sophie will also provide regular updates here as to her progress. Sophie can be reached on the above number where she can take a card payment. Thanks in advance for your support if you would like to read more please follow the link below to Sophie’s 2017 appeal which made it into the Daily Echo here.